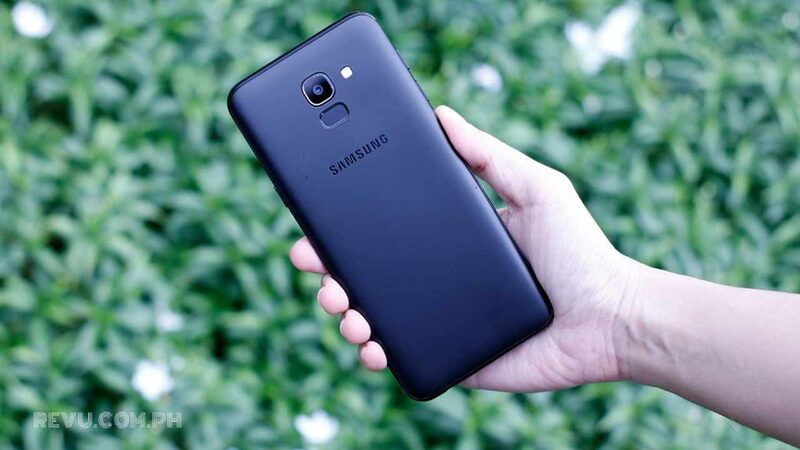 Samsung Galaxy J6 impressions: Best-value Samsung phone yet? 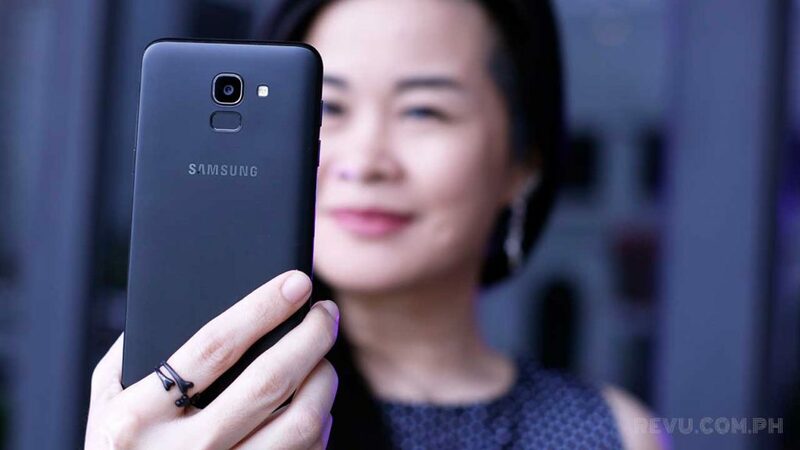 The Samsung Galaxy J6 is now available on the Philippine market, ahead of its official release date on June 16. Earlier, Samsung Electronics Philippines posted a video on social media launching local actress Nadine Lustre as the face of the new mid-tier phone. The Galaxy J6 costs P13,990 (around $266) here, and for the money, you’re looking at the cheapest Samsung phone with an Infinity Display (read: extra-tall screen). 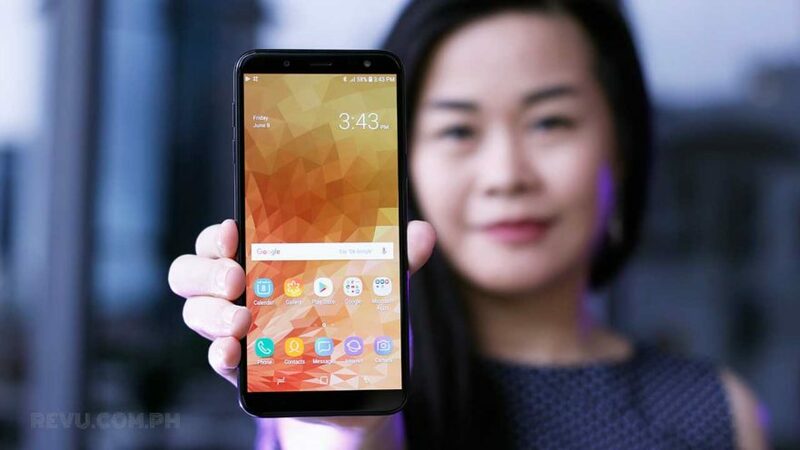 It’s also got a fingerprint reader around the back, just below the rear-facing camera; a selfie camera assisted by LED flash (which makes two — one on the front and back); and an octa-core Samsung processor that boots Android 8.0 Oreo out of the box. At P13,990 (around $266) here, the Galaxy J6 is the cheapest Samsung phone with an Infinity Display. As for the chassis, it embodies many of Samsung’s current design tendencies. There’s some unevenness to the backing, with the plastic softly curving into the edges of the device. The touchscreen feels satisfying to use, thanks to rounded screen glass. Also, the mono speaker is located on the frame, right-hand side, rather than on the back or at the base. The Samsung Galaxy J6’s touchscreen feels satisfying to use, thanks to the rounded screen glass. There are no capacitive or physical navigation buttons below the display, and in their place are onscreen keys that rotate with the orientation of the handset. By extension, that also means Samsung has positioned the fingerprint reader of the Galaxy J6 on the back, as opposed to placing it on the chin of the front panel; it’s immediately below the main camera — you can’t miss it. The Samsung Galaxy J6’s fingerprint sensor is immediately below the main camera. For us, the rear-facing camera itself is one of the J6’s biggest selling points. It’s 13 megapixels — not as high as on competing models, and there’s no secondary sensor accompanying it. But it has an f/1.9 aperture lens, which means the hole in the camera assembly that lets light in can open wider for brighter pictures in low-light environments. The selfie shooter up front is 8 megapixels and can go as wide as f/1.9, too. For us, the camera is one of the Samsung Galaxy J6’s biggest selling points. 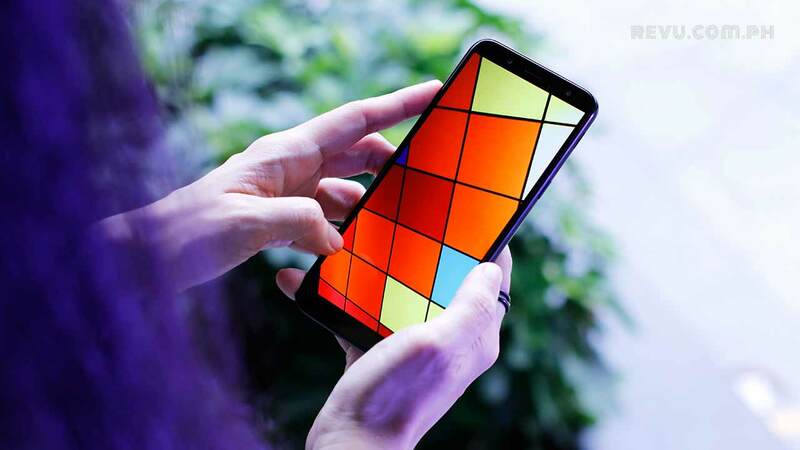 The screen, another key attraction, measures 5.6 inches and uses Samsung’s AMOLED technology for a brighter, more vivid picture. The aspect ratio is 18.5:9, making it better suited for consuming content than traditional 16:9 smartphone displays. It’s not the ideal size in this price range, and it’s far from being the sharpest. For now, this is clearly as far as the company is willing to go. 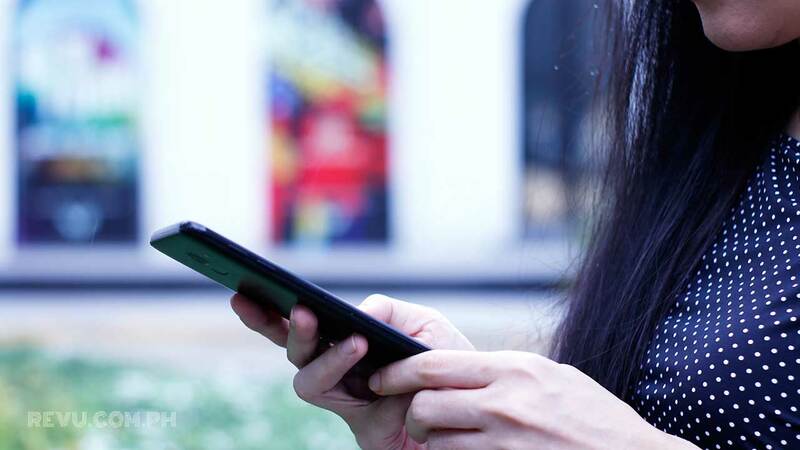 The Samsung Galaxy J6 screen’s aspect ratio is 18.5:9, making it better suited for consuming content than traditional 16:9 smartphone displays. Is the Samsung Galaxy J6 an entertainment powerhouse? Not quite. But the screen looks good — bright, punchy, and crisp enough — and the sound quality is acceptable, so we have no complaints. An Exynos 7870 processor backed by 3GB RAM and 32GB storage that can be expanded using a microSD card can be found under the hood. The 7870 isn’t the best option around for gamers on a budget; yet if you’re only after a fluid experience when operating the phone, it could prove to be enough. There’s also a 3,000mAh battery inside, which should be sufficient for a day of use. This also makes it a great business phone too! Why not see which 800 providers work on smartphones if you are looking to make your company look more professional. Overall, the hardware and specs look pretty good for a Samsung phone that doesn’t exceed P15,000 ($285). But is it the best value in this price range? We have strong reservations. Good on Samsung for at least trying to take on the likes of Xiaomi, Honor, and ASUS, though.